The internet sums everything up. This is true but I wish it weren’t. 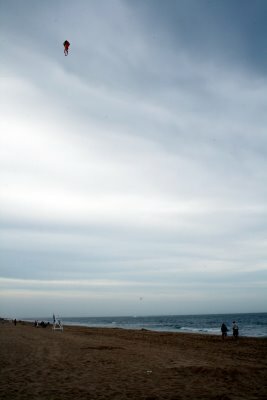 Two weeks ago a bunch of friends and I stayed the long weekend at a family condo on the beach in Ocean City. It was a great time and I hope to do it again soon! I’ve been going to Ocean City every year since I was a very young one and so I have some “traditional” activities that I enjoy. We did some of them but it wasn’t as long a weekend as it could have been, so I didn’t get the opportunity to introduce the group to some of the others. Milkshakes at Dumser’s Dairyland. The best milkshakes I have ever tasted, and you can get them right down on the boardwalk. The to-go shakes are not very big and I think that’s part of the secret: keep you wanting more. The chocolate banana is highly recommended. Flying Kites on the Beach. I am a huge fan of kite flying but there are very few places around that you can do it in Maryland! The beach is a safe space for kite flying. It’s always windy and open and there are plenty of other people around who will enjoy the view. Renting Jetskis. This is the first time I went ahead and did this with my brother and a friend. It is quite exhilarating and freeing. The price is a little high (we paid $80) but if you go in with a friend you can ride together! The Outlets I didn’t go to the outlets this year, but I will probably go later this summer. I usually get a new pair of shoes and whatever else I need all at once. It’s very nice when you only have to shop once a year. Gummi Octopi From Candy Kitchen, the perfect compromise between gummi worms and gummi bears. You can pull the legs off one at a time or go whole hog and feel them swishing around in your mouth. PLAYLAND on the boardwalk. Every year we used to get 10 dollars to spend in the arcade there. My favorite is Silent Scope, the sniper game. I used to spend $5 on it every year but now I’ve gotten so good that I only need $2 to beat the thing. Parasailing Though it seems daunting, this is the most relaxing and carefree activity you can partake of. Essentially you’re floating along in a slight breeze, everything is quiet and calm and there is no one to bug you (unless you go tandem) and the view is spectacular. Everyone, even the most skittish, should try it once. Harrison’s Harbor Watch Restaurant It’s a little expensive and there can be a wait but it’s generally worth it: great seafood and almost every table has a wonderful view of the harbor. Some nights you can watch the seagulls drift along the channel; when they get to one end, they just fly to the beginning and drift again! Assateague Island This one is for the nature-lovers. We all know Ocean City is anything but natural, but if you just head south a little bit and cross a few bridges you’ll get to a beach that is. And of course, if you are lucky, you might get to see the famous ponies! These are the things I like to do, but I’m sure there are plenty of things I haven’t discovered. What do you like to do in OC?